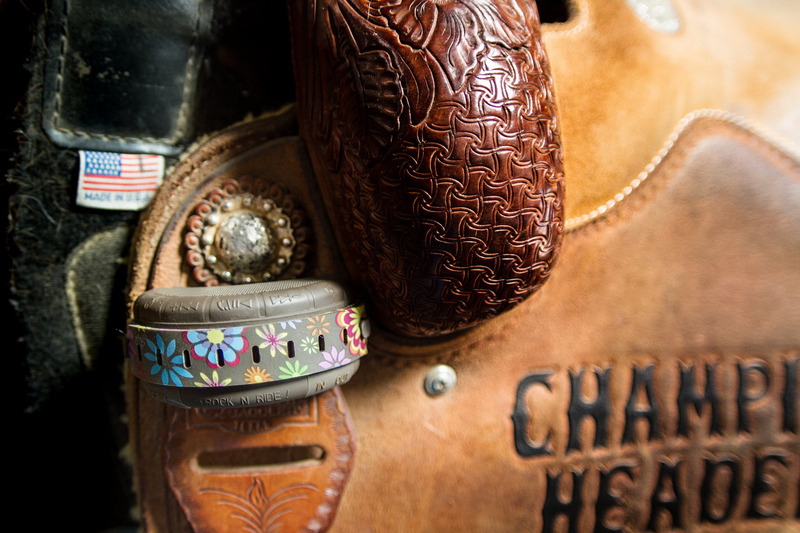 The world’s first bluetooth, smartphone integrated horseback riding speaker. Finally….. hear your riding instructor from afar, send & receive messages, make phone calls, ride to music and utilize your iOS (Siri) & Android voice prompts hands free, earbud free and wire free from the back of your horse while your smart phone is safely stowed away! 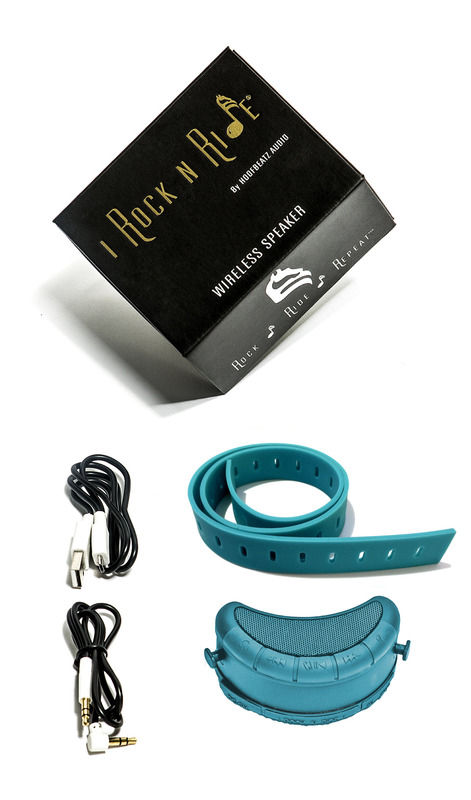 The i Rock N Ride Patent Pending wireless bluetooth speaker was designed by equestrians for equestrians and we know how much dirt and grime comes with the horsey lifestyle. The speaker is dust and moisture resistant so there is no need to worry when your stuck out on a trail in light rain or early morning mist. Batteries NOT included… because you’ll never need them for your i Rock N Ride! Plus, you won’t be draining the life from your smart phone while you listen to music, make calls, send and receive messages or even do math conversions to figure our your hay bill! Simply plug in your i Rock N Ride to any USB outlet and within approx. an hour, you will have up to 6 hours to rock non-stop! 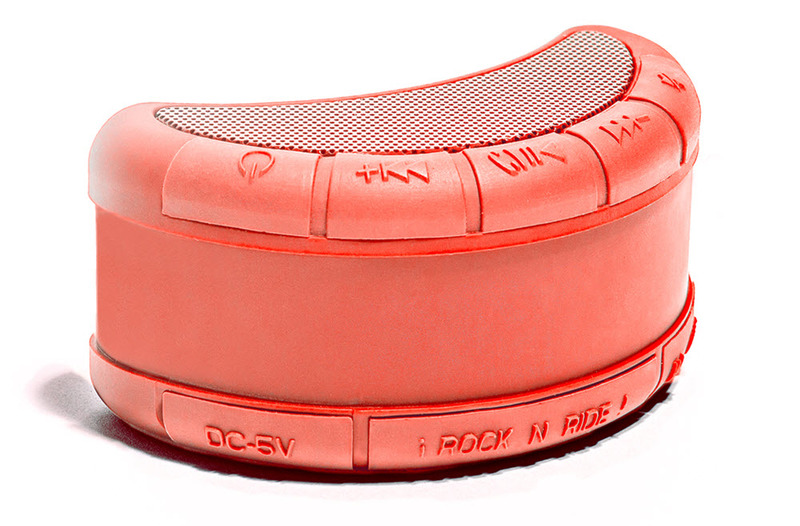 Safety was our first concern when designing this small super powerful speaker and the directional sound reduces annoyance to other riders in close proximity. We love wireless, but if you ever want to rock out before a barrel race or quietly listen to your coach while warming up for a dressage test, simply rotate the speaker and plug in headphones to the audio out port. And, if you like using earbuds you can now use them with no risk to your smartphone falling and meeting a hoof. Taking a riding lesson with your i Rock N Ride is AMAZING and if you’re an instructor or coach, imagine never having to scream down to the far end of the arena again! Simply call your student’s smart phone which will ring through to the i Rock N Ride on their saddle and transform your normal voice into one that can be heard from far, far away. 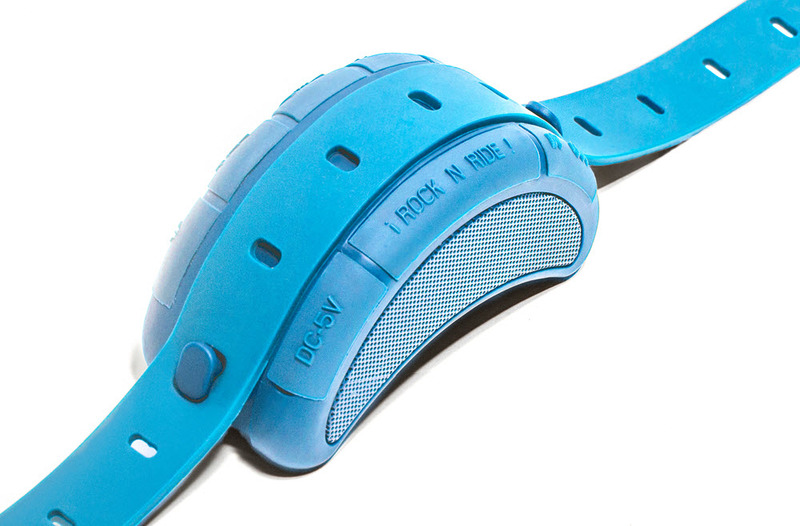 AND… the mute feature on the i Rock N Ride will mute the mic (just like the mute on a smart phone) and allow trainers and students to communicate without hearing any wind noise or feedback. Since the i Rock N Ride works phone call to phone call, there is no limit to the number of riders that can clearly hear their coach at one time. Instructors can use a conference call service (most are free) and have 10, 25, even 100+ riders, clinic participants or even an entire mounted drill team, hear with perfect crystal clear audio and no screaming is required. 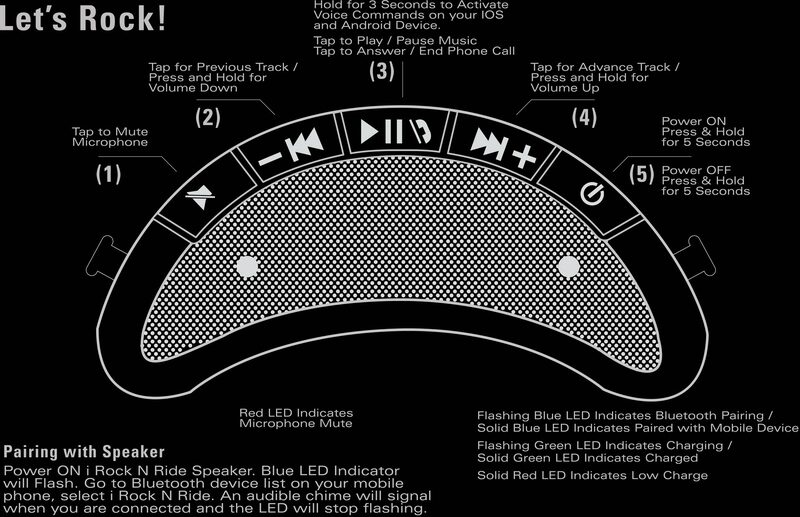 The five multi-function buttons are so easy to use and memorize that you can use all the features of your smart phone, even while riding with gloves on!